Well hello there, little blog. Hellooooo out there in Feedly land. Anyone still following? 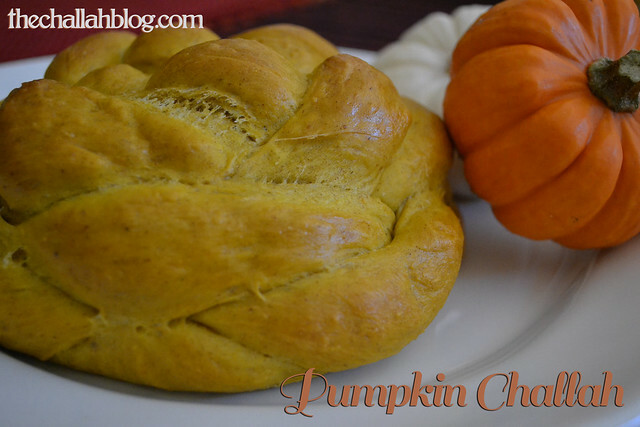 I'm still baking, but my focus is elsewhere. Mainly it's on this little one. ...who's not really so little anymore. We've been cooking and baking up a storm. 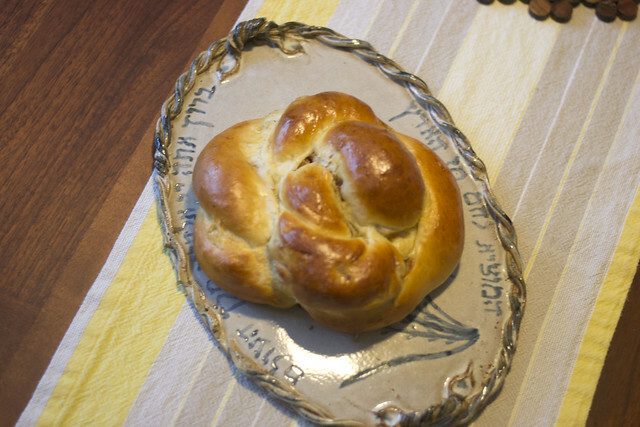 Earlier this week, I made a batch of challah using my trusty half-batch recipe and tried out a new round shape. 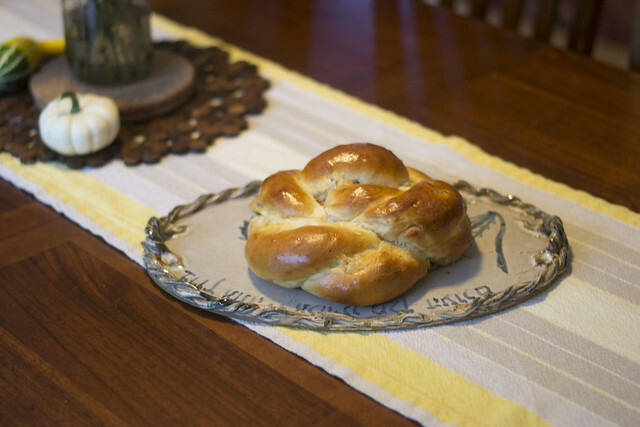 This shape is from Maggie Glezer's A Blessing of Bread, one of my favorite challah cookbooks. Here's how it came together for me. 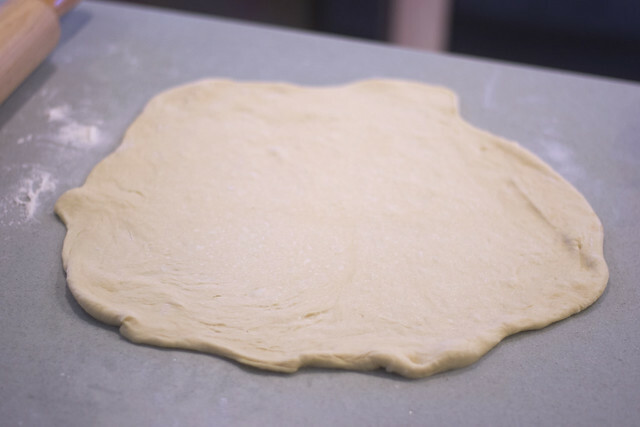 First, I rolled out my dough (about half of my batch), wide and round like a pizza. Once it was pretty round (not as round as the picture in the book, but oh well), I cut it using my pasta cuter. Since I wanted to fill it, I melted a bit of margarine and brushed it over the top of each side. 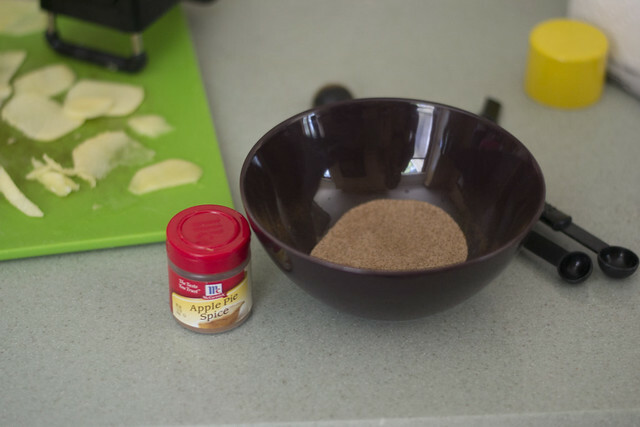 Then I added a 3-to-1 sugar-cinnamon/spice mixture. I ran out of cinnamon, so it was part pumpkin pie spice and part cinnamon. 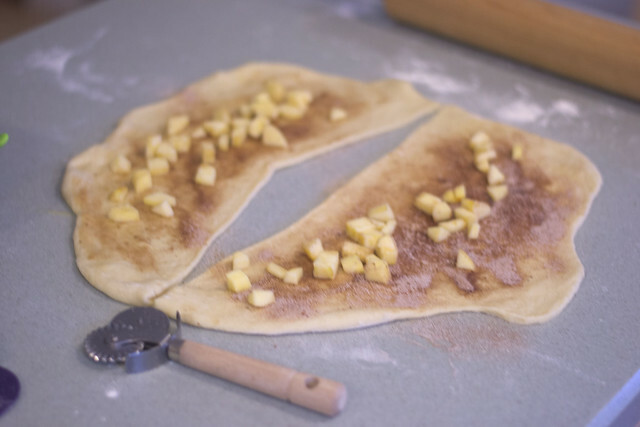 Sprinkle 1 gala apple, peeled and cut into small chunks, and roll up from the small side. The next part was the fun part. Take those loooooong noodles and, one at a time, fold them up on themselves and twist them a la those old camp friendship bracelets. Magic, right? Arrange them together circling each other, and ta-da! 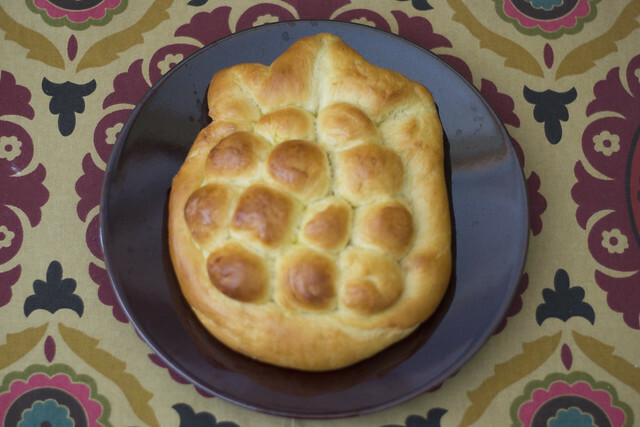 Another fun challah shape for a sweet new year (More shapes here, here, here, and here). So, little blog, I miss you, and I'm glad you're still here, and I'm glad any of you readers are still out there. Wishing you all a happy, healthy, and peaceful new year, filled with lots of joy. 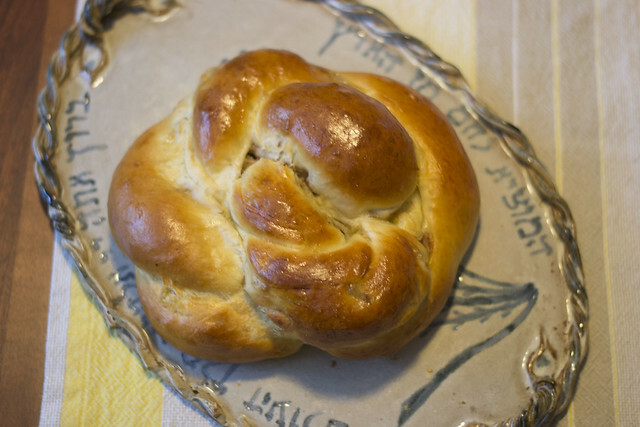 This year, we'll be doing some of our favorite recipes for Rosh HaShanah! 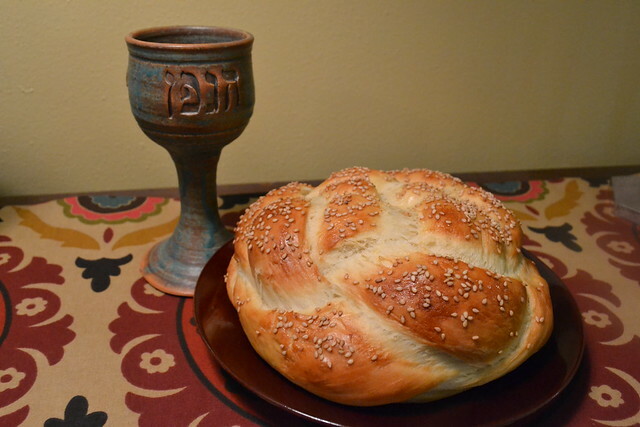 How will YOU be celebrating with food? 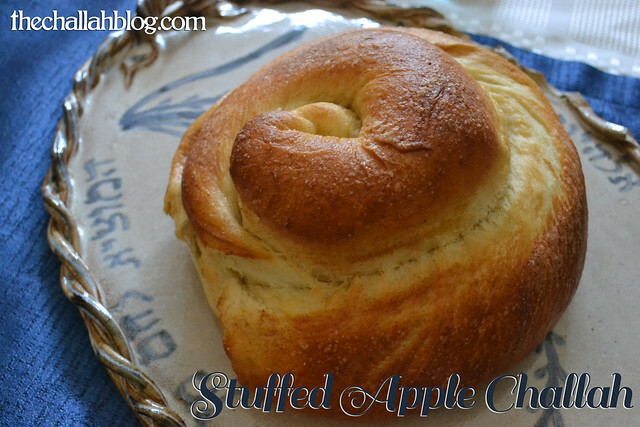 This year, I made a quick experiment for a new apple challah method. 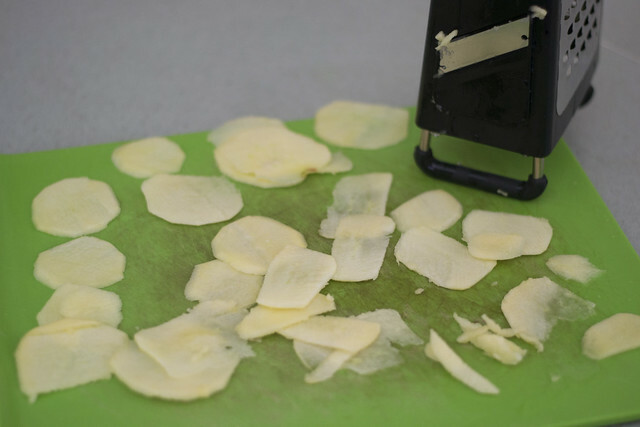 I peeled a medium-sized Gala Apple and then sliced it thin with a mandoline. Then I prepared a sugar-cinnamon mixture (2 parts sugar, 1 part cinnamon) and dipped each slice in the mixture. 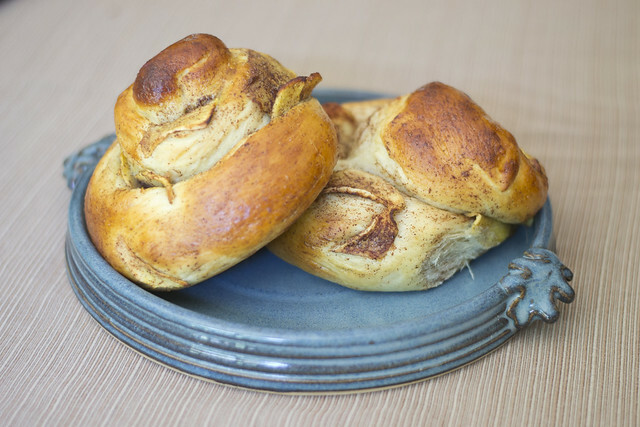 I did two methods to place the apple slices in between the coil of the challah. 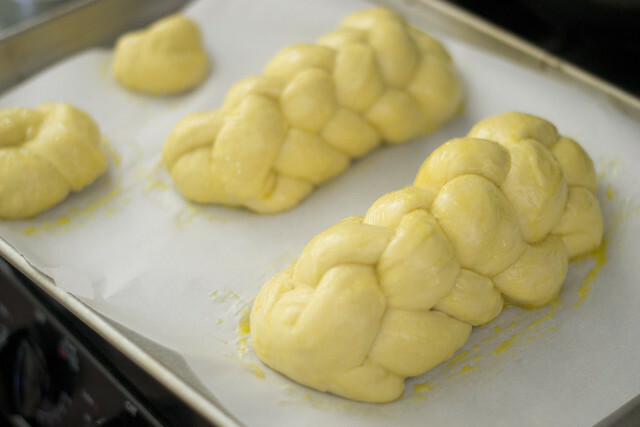 The best result was to try to keep the coil loose, otherwise, it will pop the slices up and out as the challah rises in the oven. 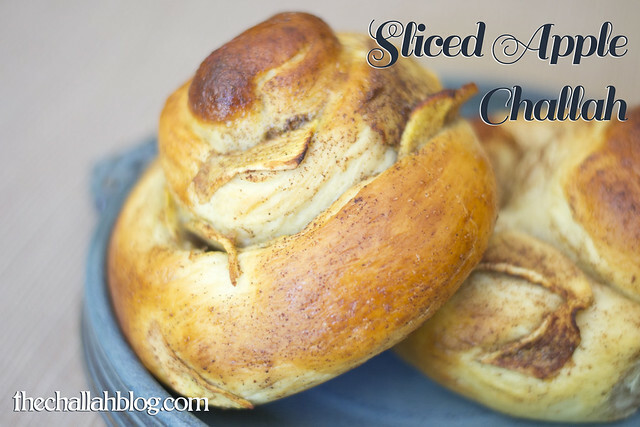 The result was tasty, sweet, and slightly crispy at the top of the slices! Yum! 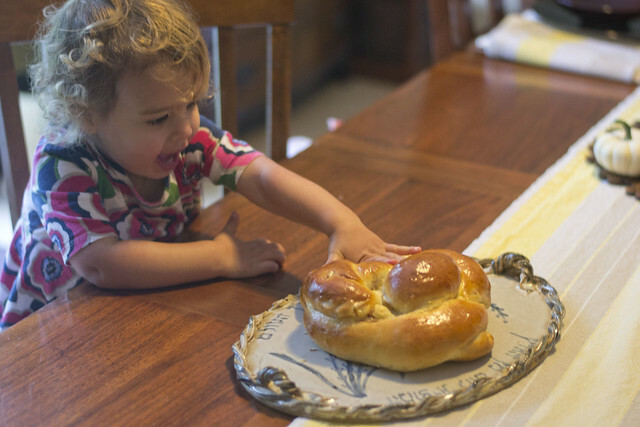 Shana Tova from our bayit to yours! 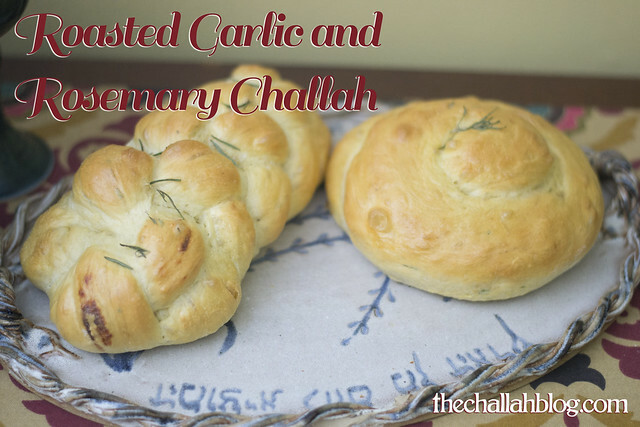 One of the first "fancy" challot that I ever made was a Parmesan Roasted Garlic Challah. It was really, REALLY garlicky... and delicious. 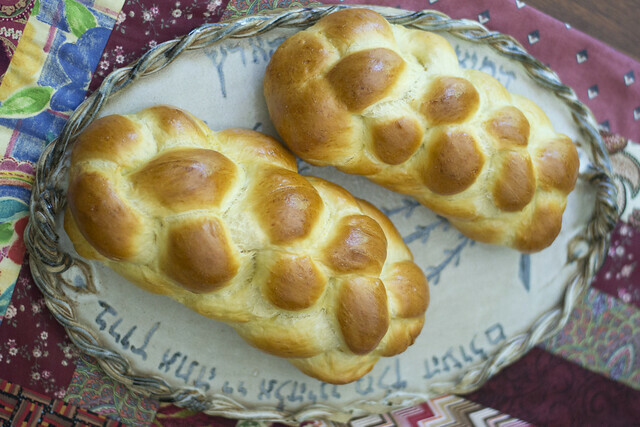 This challah is a variation off of that very recipe. 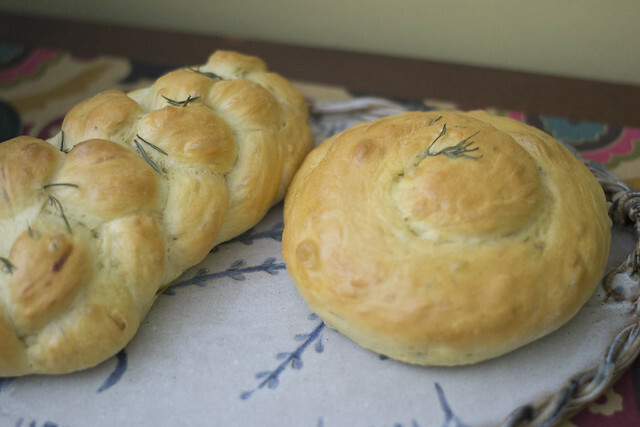 I love savory challot, especially when they involve herbs from my garden, like Rosemary Olive Oil Challah, Pesto Challah, and Pizza Challah (the Hazz's favorite). 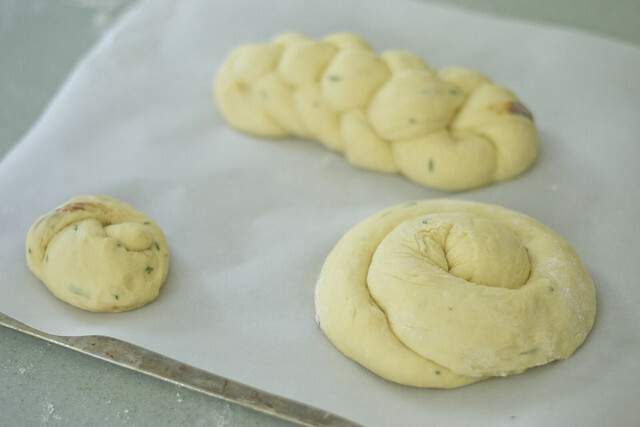 This challah takes a bit more time because you have to roast the garlic in advance before preparing the dough, but trust me. It's worth it. 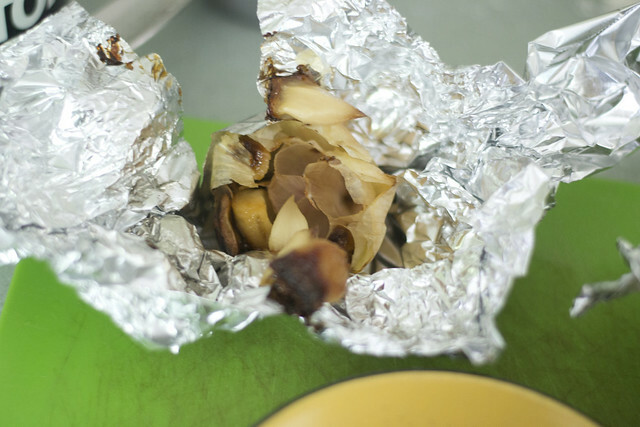 First, you'll roast your clove of garlic. I run the clove under water and pull off any skin with dirt on it. Then slice off the top of the head, drizzle with a little olive oil, and wrap in foil. Bake in 425 oven for 20-25 minutes. 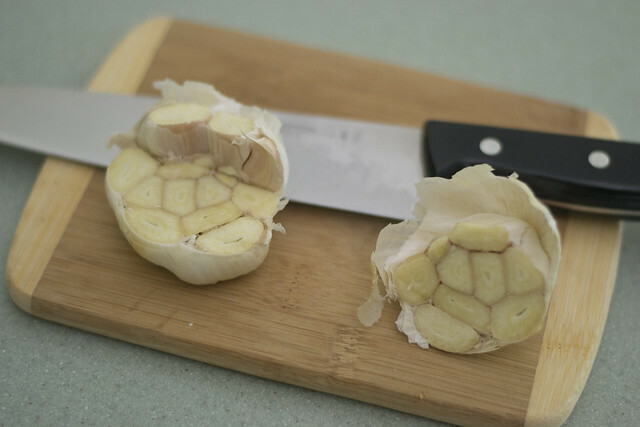 When your garlic is roasted and cooled to handle, squeeze out the garlic with a tongs or by hand and mash with a fork. When your garlic is ready, start with very warm (but not hot) water in mixing bowl. Add yeast and 1/4 tsp sugar, mixing lightly. Allow to sit for 10 minutes or so, until yeast is foamy. Add 2 eggs, 2 tbs olive oil, and garlic in the bowl and mix with wood spoon. 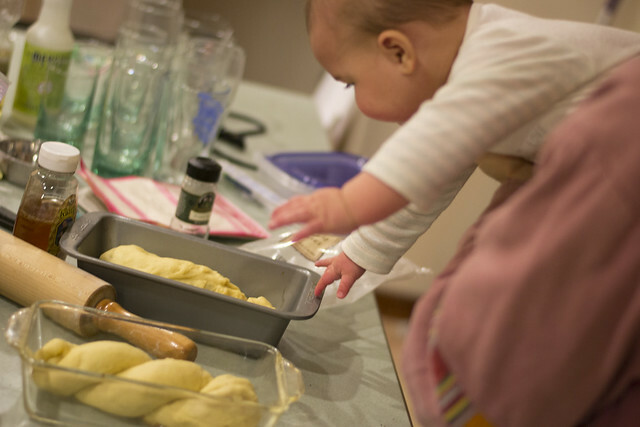 Add flour, salt, and finely chopped rosemary and beat with dough hook on standmixer or by hand. 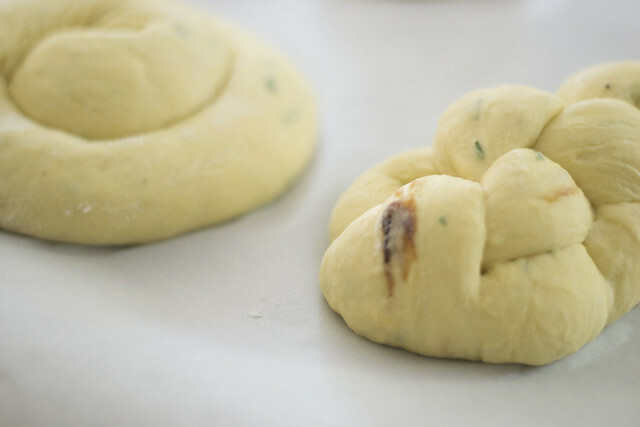 If the dough is not holding together as a ball, add a bit more oil or water. 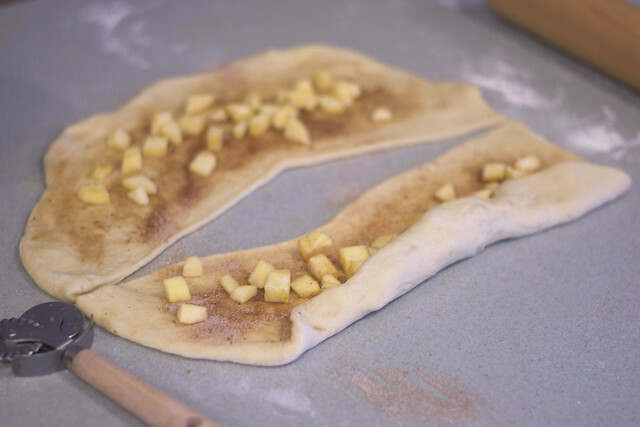 If the dough is very sticky, add more flour. 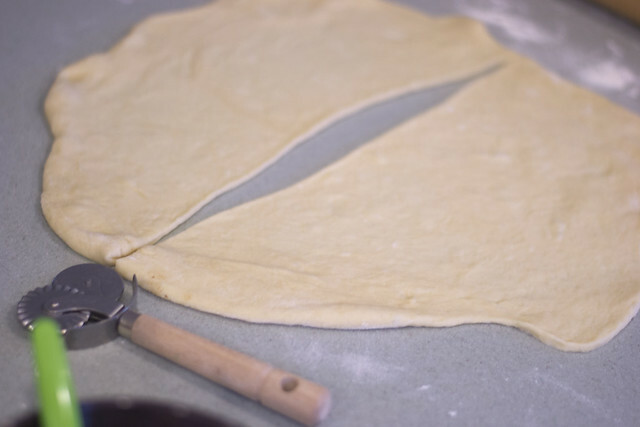 The dough is ready when it sticks together as a ball and is not sticky to the touch when you poke your finger in (5-10 minutes of beating). Turn the ball out onto a floured work surface and punch a few times until very smooth. Place in oiled bowl and cover in plastic wrap or a towel. 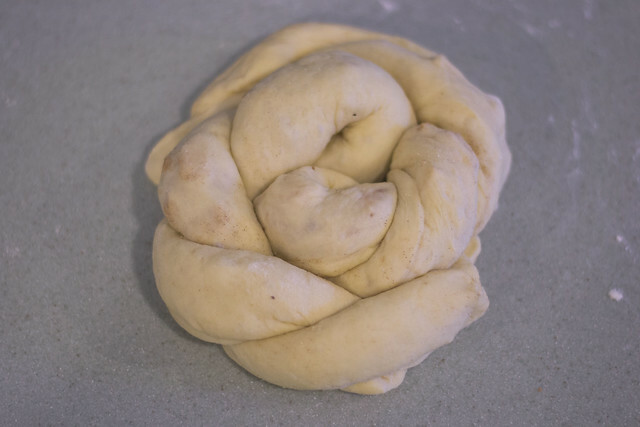 Allow to rise at least one hour, preferably more (usually about an hour and a half), until dough has doubled in size. Punch down the ball in the bowl. Braid in your preferred method. Allow to rise 20-30 minutes. 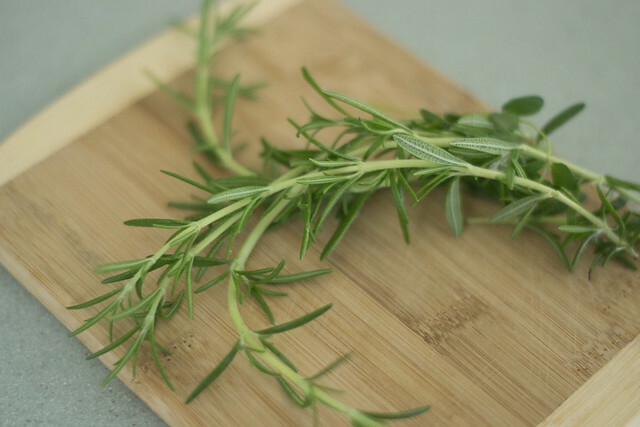 Top with an egg wash and a little more olive oil and a few sprigs of rosemary if you like. 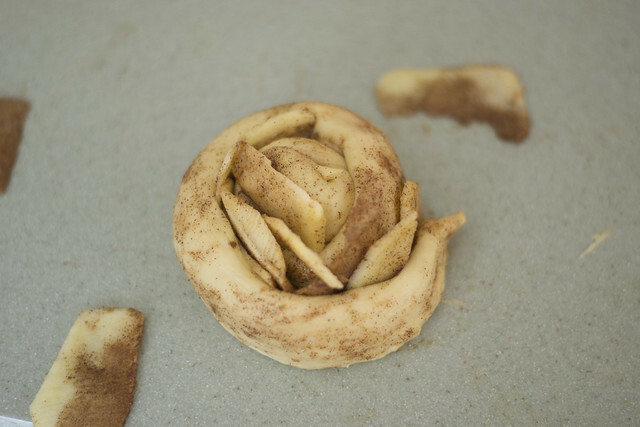 Bake at 350 for 25-30 minutes, rotating 180 degrees after the first 15 minutes. 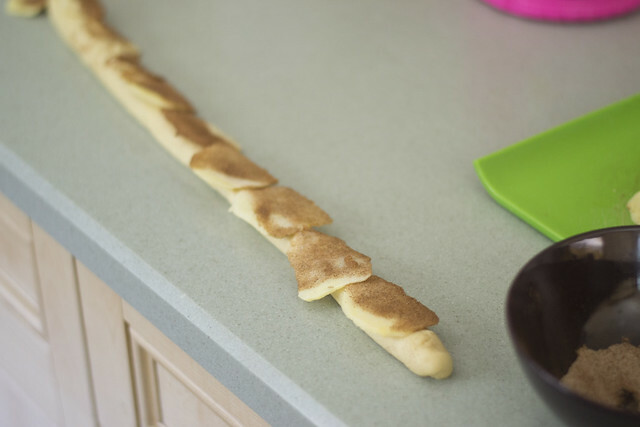 You can use a bread thermometer (180-200 degrees) or poke at the seams. Foil if browning too quickly on top. 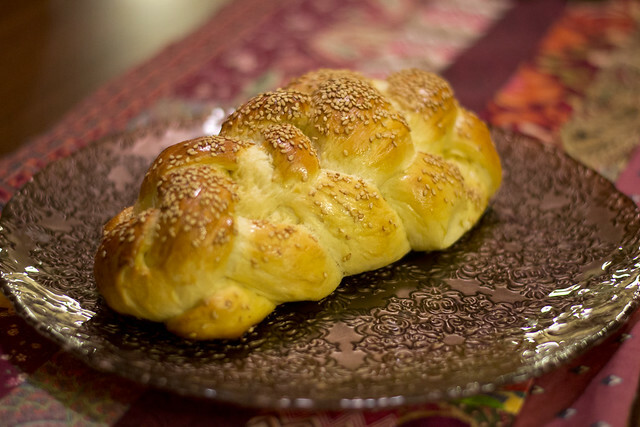 I just love how aromatic and savory this challah is. 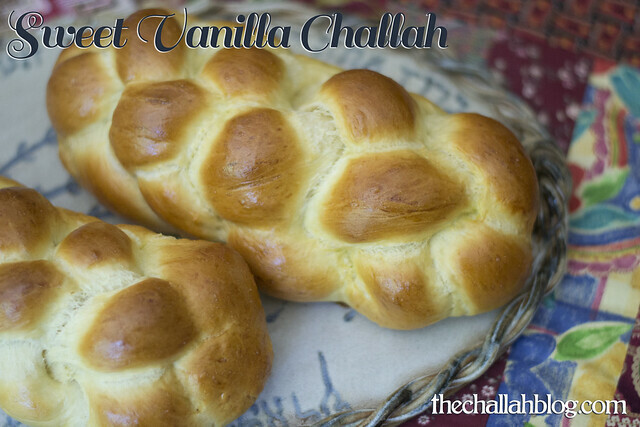 Yes, I'm usually a sweet challah gal, but I love variety now and again! 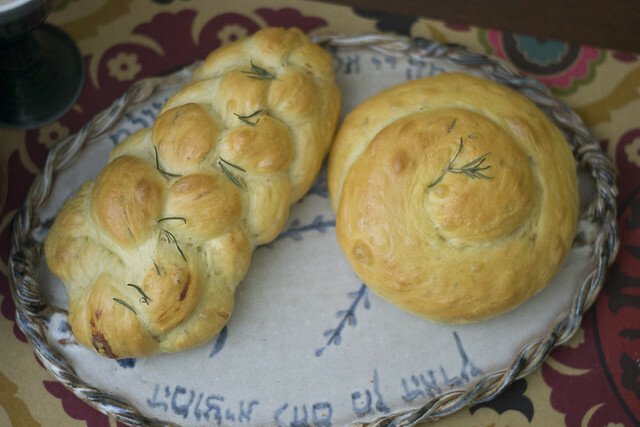 The olive oil also makes the dough light and fluffy. 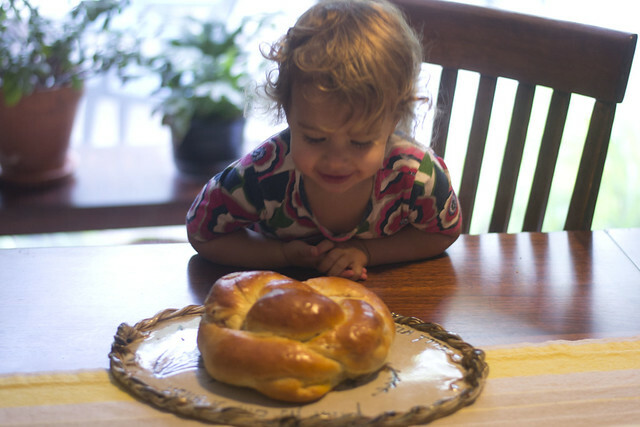 Shavua Tov from our bayit to yours! As I posted a few weeks ago, our life has been pretty sweet lately. Exhausting, yes. But pretty sweet. We've been enjoying our little girl tremendously. So where have I been? Well, I've been around. If you're not interested in personal details, you can skip to the recipe... But here they are: This past fall was incredibly challenging, because I began a PhD program that involved a 90 minute commute and my mother, of blessed memory, was in hospice for nearly two months after a six year battle with pancreatic cancer. And I was in first trimester of pregnancy. 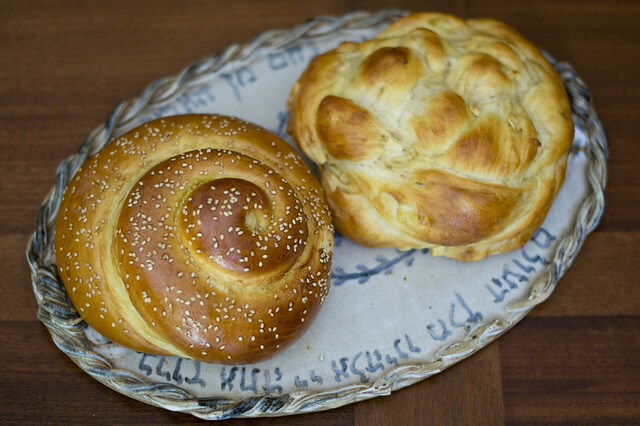 And then, this winter and spring, we ate a lot of plain challah, Nutella challah, and fresh herbed challah. Whatever tasted good, and whatever was easy in a busy, busy time. So, needless to say, things are a lot brighter and a lot sweeter now after a tough fall. They're no less busy... in fact, they're kind of completely insane. 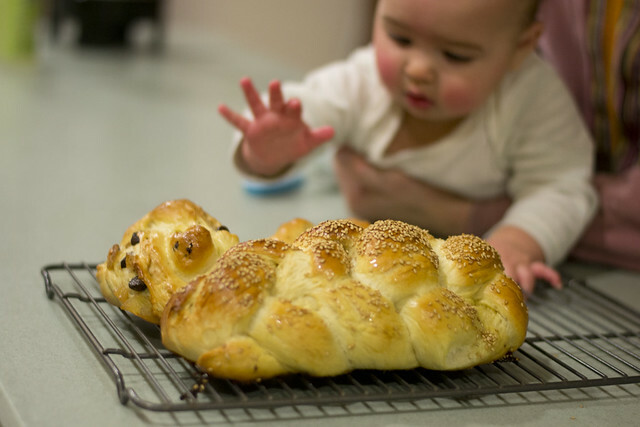 This recipe was prepared with a baby in an Ergo (save the oven opening... be safe folks), so please bear with me if anything doesn't make sense! We're not working with too much sleep here! 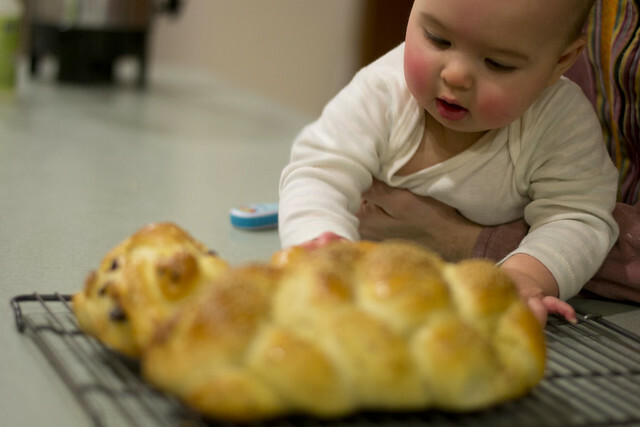 In honor of this new sweetness in life, here's a sweeter challah that I tried out this past Shabbat! Place very warm (but not hot) water in mixing bowl. Add yeast and 1/4 tsp sugar, mixing lightly. Allow to sit for 10 minutes or so, until yeast is foamy. 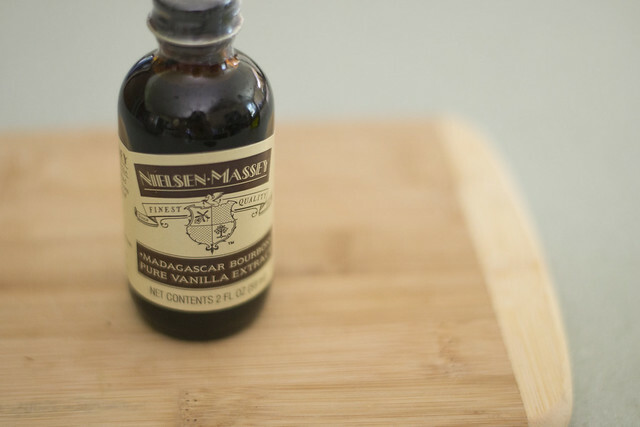 Add 2 eggs, 1 tbsp vanilla, 3 tbsp sugar and vegetable oil and mix with wood spoon. 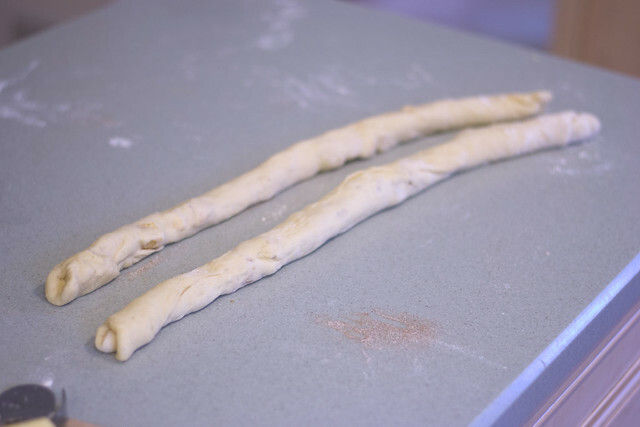 Add flour and salt and beat with dough hook on standmixer or by hand. 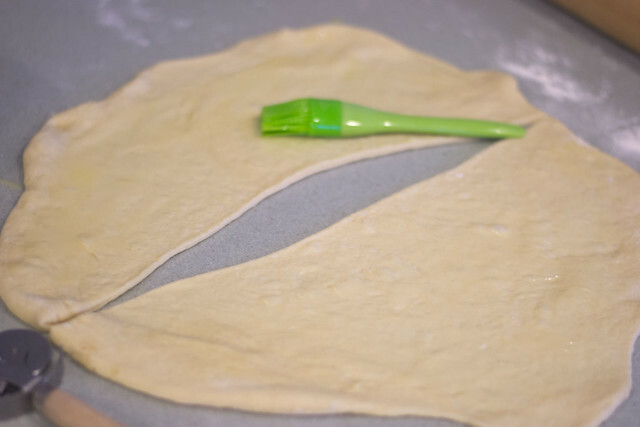 If the dough is not holding together as a ball, add a bit more oil or water. If the dough is very sticky, add more flour (for some reason, I needed more flour this week... perhaps it was the humidity, perhaps the additional vanilla). 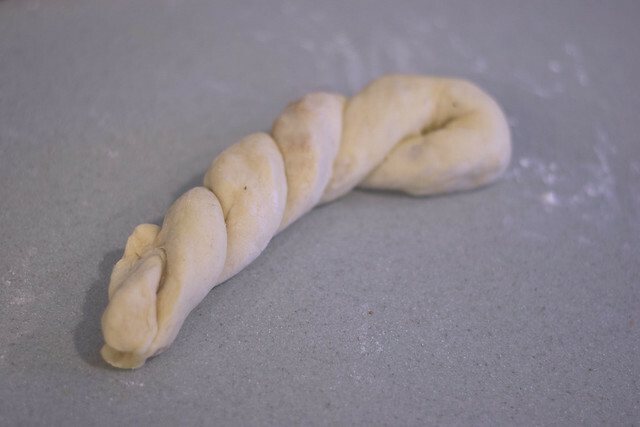 The dough is ready when it sticks together as a ball and is not sticky to the touch when you poke your finger in (5-10 minutes of beating). 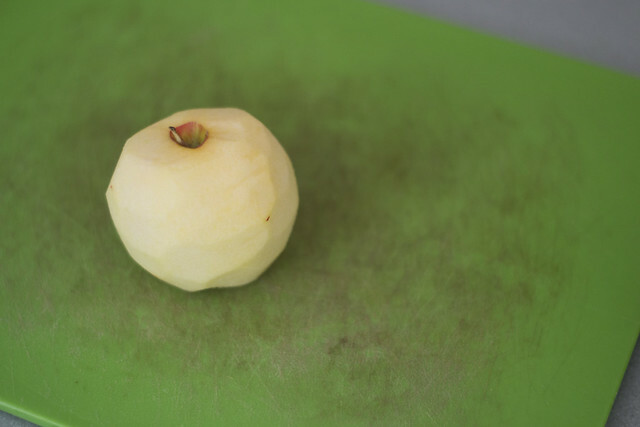 Turn the ball out onto a floured work surface and punch a few times until very smooth. 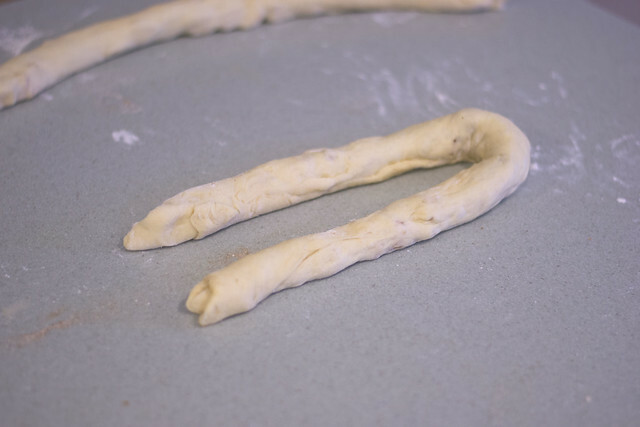 Allow to rise at least one hour, preferably more (usually about an hour and a half), until dough has doubled in size. I only do one rise as a ball, but you can do more. I'm not convinced it does much to the texture but some people swear by it. 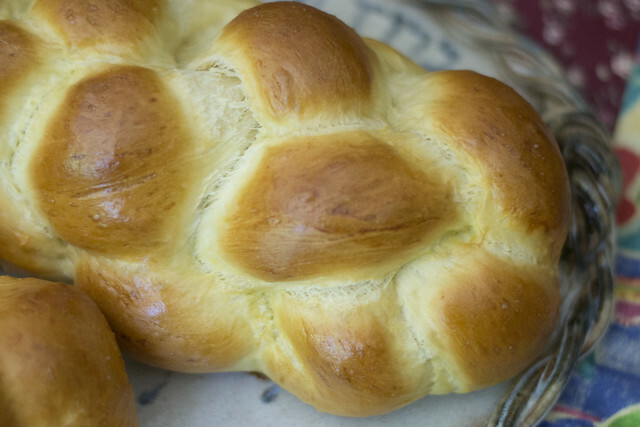 This challah is sweet and fragrant, with an almost boozy aroma to it. 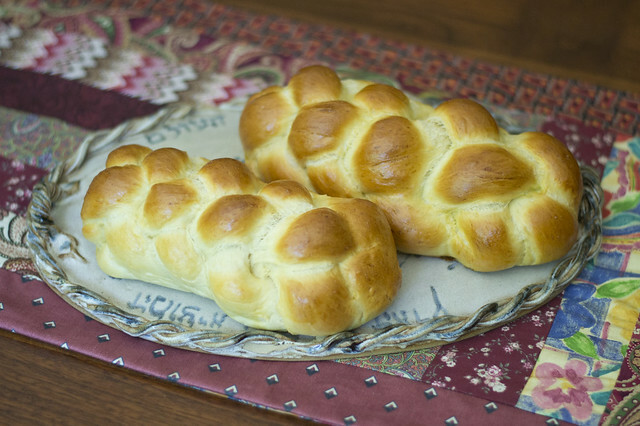 It makes me want to try brandy challah or rum challah. 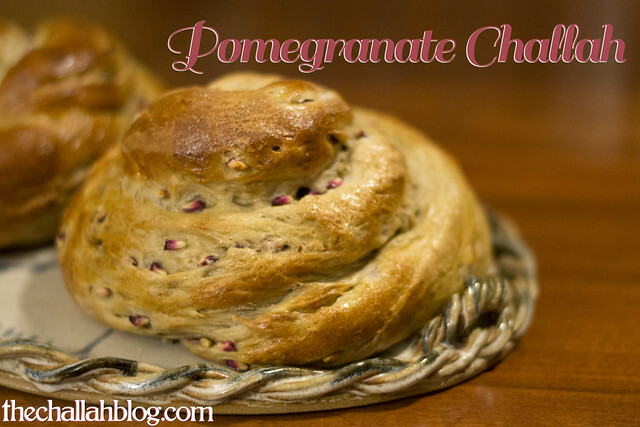 While I'm not sure I'd want this as my every-week-challah, I enjoyed the mildly sweet treat. 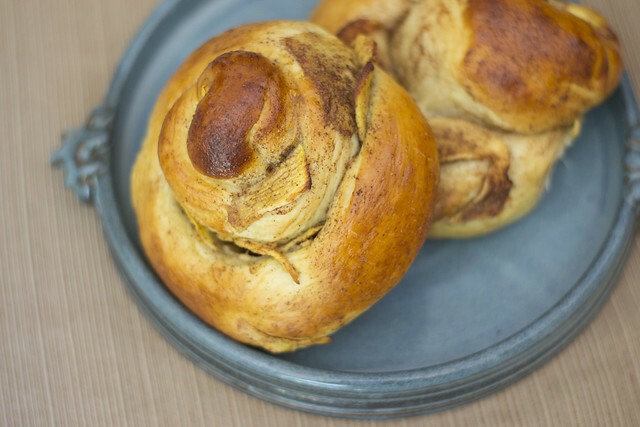 How are you making your challot a sweet treat? Shavua Tov from our bayit to yours!! !